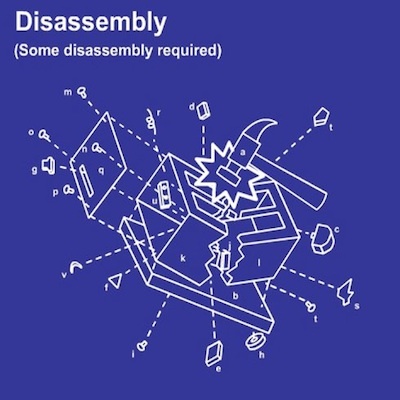 Disassembly is my favourite band on earth. They used to be called Kinetic but then a man with the signature "P.S. Radiohead Rules" wrote them a cease and desist letter. * So they changed their name to the name of a different band that wasn't interested in suing them and went on to soar to great heights. They also had an EP called "Not Heavy, Just Awkward" that they released as Kinetic which I believe to be quite excellent...if you can find it. * Unlike a lot of the things you read on this website, this actually happened.